Stone Slinging service allows for the delivery of sand or aggregates into tight hard to reach places such as foundations or steep slopes. TRP READY MIX, a company specialized in ready mix concrete in Ottawa and Ontario can help you overcome your stone slinder rental struggles. 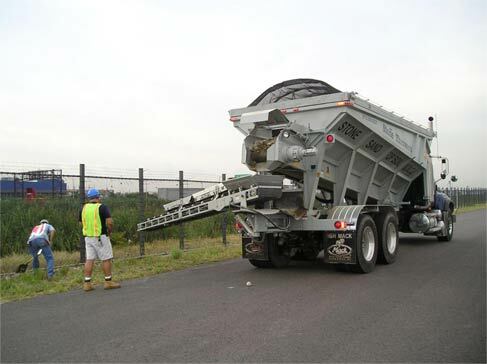 Having aggregates delivered with the Stone Slinger allows for a great reduction of labor time and the need for other possible equipment rentals, which can save you time and money. Get a quote for a Stone Slinger or inquire for more information.